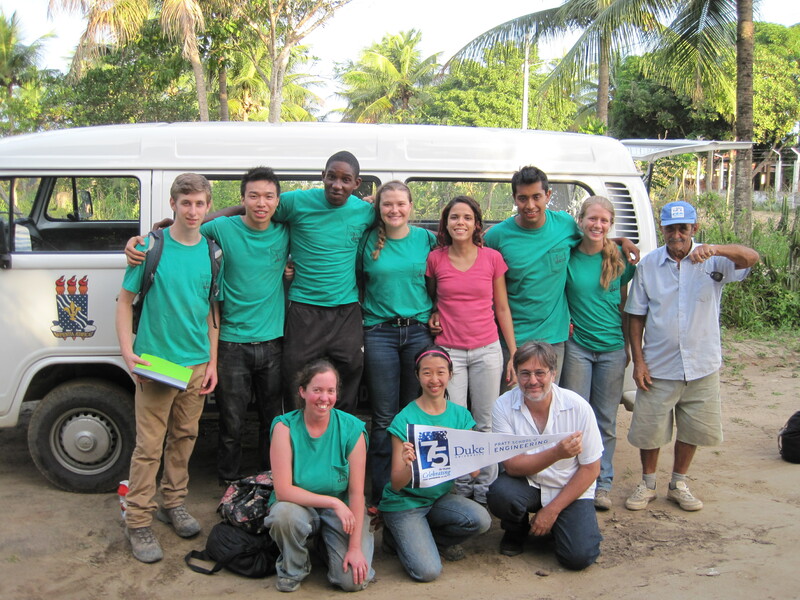 DEID Brazil completed their project in the rural community of Santo Amaro, located near João Pessoa, Brazil in the Summer 2014. In this community, there is a shortage of water that forces residents to tap the city water pipes illegally. Working together with Casa Dos Sonhos, a local non-governmental civic association, and students and professors of the Universidade Federal da Paraiba (UFPB), the team constructed one 10,000- liter storage tank and one 3,000-liter storage tank. A gutter and piping system also devised and implemented by the team collects rainwater from the roofs of nearby buildings (houses, a church, and a therapy center) and supplies their bathrooms with this water. By providing the community center with a reliable water source, Casa dos Sonhos can continue offering their services, which include physical and mental therapy, a safe space for children of the community, and supplementary academic instruction for those in need.